Australia is reeling as they are experiencing the aftermath of their own Laura Ingraham - David Hogg spat (Ms Ingraham lost sponsors after a spat with Mr Hogg where she mocked him for not getting into a decent school) as Sky News now sees advertisers flee after it’s highly controversial interview with nationalist Mr Blair Cottrell (who had once urged all Australian schools to display a picture of Hitler) aired over the weekend. 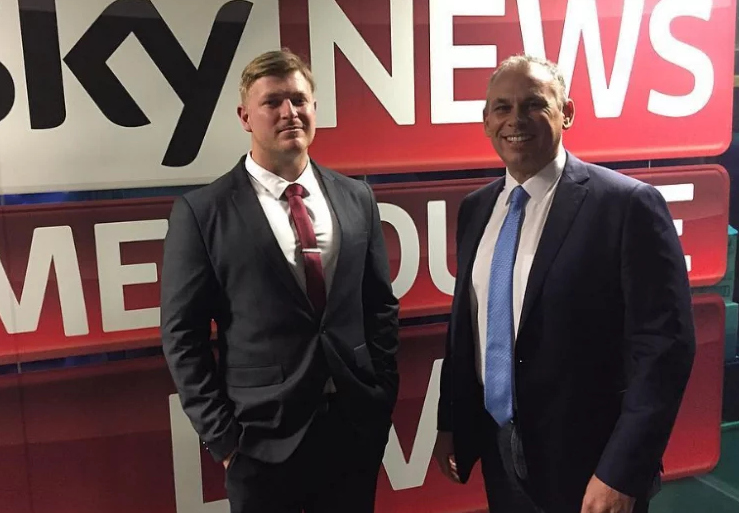 Seeing the outburst on social media over the interview on Monday already, Sky news was quick to respond stating that the “Adam Giles Show,” on which Mr Cottrell was able to explain his views would be stopped and the footage of the interview would be erased from its website and social media channels. In the afternoon, a news executive conceded that airing the interview was "wrong". During the interview, Mr Cottrell, labeled as ‘public enemy number 1’ and a ‘neo-nazi’ by presenter Mr Adam Giles during his introduction, spoke at length about Donald Trump, immigration into Australia and his views on solving several social issues. As a result, American Express, the US finance company, today became the first multinational company to pull their advertising from Sky. The decision by American Express comes after activists on social media had started a campaign to target advertisers urging them to pull commercials from TV networks and newspapers that publish the ‘far-right extremist’ views of Mr Cottrell. of anything resembling common sense is now out of control. Totally agree with Jim Cross there. Watch the interview and tell me what he said that was controversial. This 1984 thing is getting seriously out of hand. sky just gave the guy more attention .. did sky news have a idea ahead of time about what the interview was about , did they have limitations or requirements to inform their guest , or was the a 3 second delay to pause to a commercial breaks~ while could of diverted to other topic with their guest.. or did the man barge onto the set and just speak it all out. hum? sky could of talked about hair styles ~ or baldness or wigs , or the weather , about their talk , it was empty from both of them~! ABC had him on their network before that.